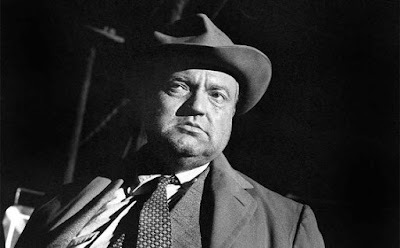 Touch of Evil (1958), starring Orson Welles, is one of the classic movies airing on TCM this week. This week, TCM is airing great movies from stars like Clint Eastwood, John Wayne, and Glenn Ford. Plus, they are featuring spaghetti Westerns and movies from the 1970's. So, without further ado, let's jump right in to this week's offerings. Just a note: the highlighted text has links to full length articles. I'll go in-depth a little further down in the article, but first here's a quick rundown. Birthday tributes: Red Skelton on Monday and C. Aubrey Smith on Thursday. Sunday Prime Time: A film festival featuring the pioneers of African-American cinema. Silent Sunday Nights: Within Our Gates (1920) at 12:30 a.m. is about an African-American schoolteacher (Evelyn Preer) who raises funds for better schools. TCM Imports: Touki Bouki (1973) at 2 a.m. Sunday night/Monday morning. Senegalese director Dijbril Diop Mambety's drama about a couple (Magaye Niang and Mareme Niang) who try to con their way from Dakar to Paris is one of the pioneering films in African cinema. Best Day to DVR: Monday night. Guest programmer Lou Gossett, Jr., is serving up three great fifties films noir and an Alfred Hitchcock masterpiece. This is a great week for . . .: macho movies. You've got a heaping helping of testosterone on Tuesday with spaghetti Western heroes Clint Eastwood, Ernest Borgnine, and Charles Bronson. Plus, macho director Howard Hawks and ultimate manly man John Wayne team up for three movies on Wednesday prime time. Three daytime picks: A birthday tribute to Red Skelton, who was born Richard Skelton on July 18, 1913, in Vincennes, Ind. 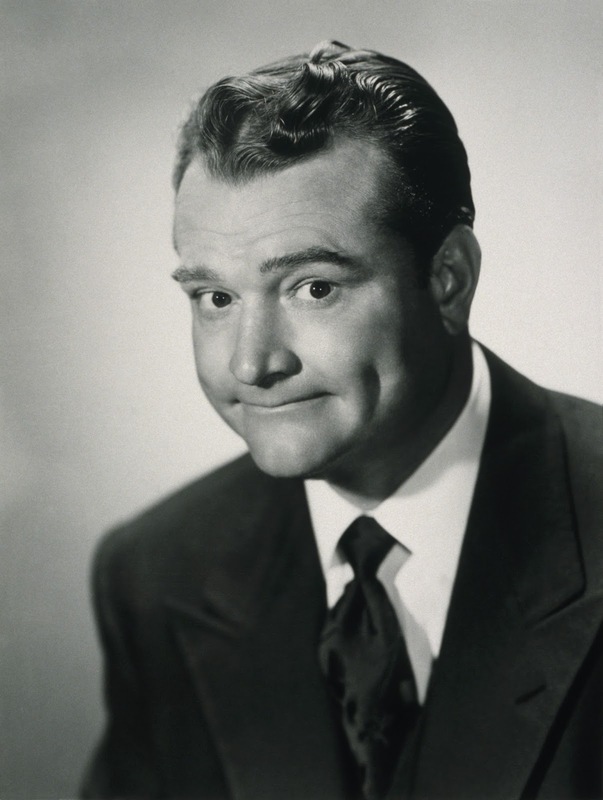 Skelton was a popular comedian on vaudeville, radio, and TV, but he also had a successful career in films like Merton of the Movies (1947) at 7:30 a.m. about a starstruck Kansas hick who gets a trip to Hollywood. Skelton often appeared as comic relief in Esther Williams' musicals like Texas Carnival (1951) at 1:45 p.m. Skelton is probably most famous for his drunken clown character. He plays a version of that character in The Clown (1953) at 5 p.m., which is a remake of the boxing drama The Champ (1931). Prime time lineup: TCM's guest programmer for July is Academy and Emmy Award-winning actor Lou Gossett, Jr. First up is the teen drama The Blackboard Jungle (1955) at 8 p.m., which co-stars Sidney Poitier and Vic Morrow, who are both good friends of Gossett. Next is director Orson Welles' noir masterpiece, Touch of Evil (1958) at 10 p.m., which is one of Gossett's favorite fifties films. Late night pick: Gossett's late-night choice is Lifeboat (1944) at 11:45 p.m., which features a great performance from Canada Lee, whom Gossett calls the "body and soul" of the African-American theatrical tradition. 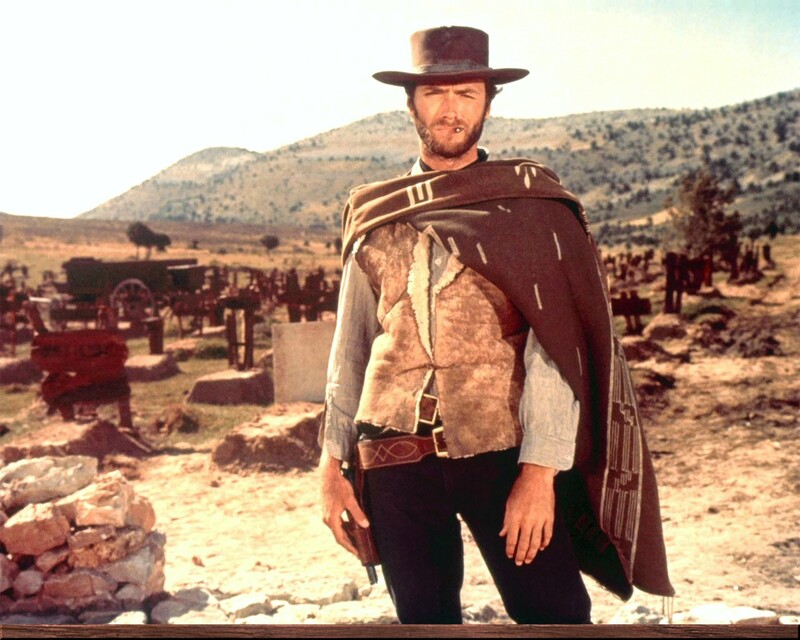 Clint Eastwood in The Good, The Bad, and the Ugly (1968). 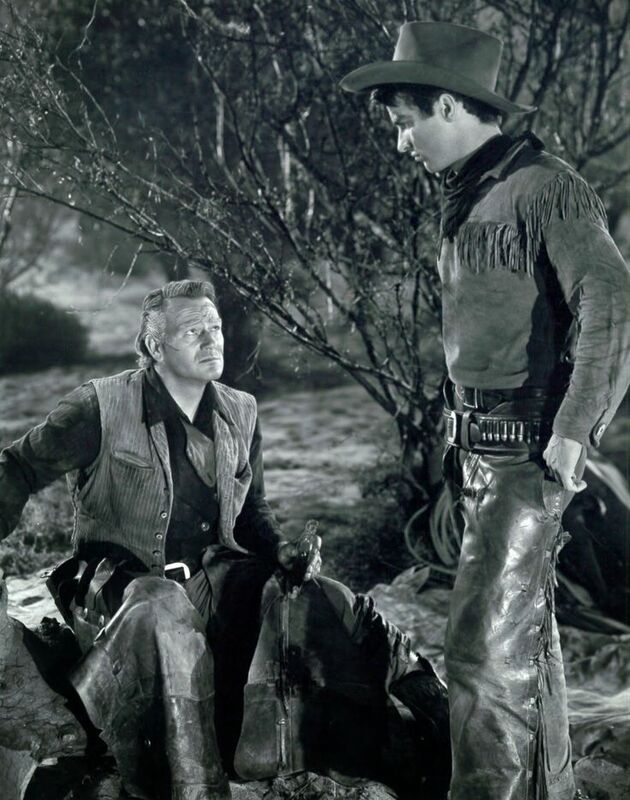 Three daytime picks: TCM will feature old Hollywood Westerns each Tuesday and Wednesday in July. Tuesday's daytime theme is spaghetti Westerns starting with Anthony Quinn and Charles Bronson as outlaws who help a Mexican village in Guns for San Sebastian (1970) at 8 a.m. followed by George Hilton vowing revenge on Ernest Borgnine in A Bullet for Sandoval (1962) at 4 p.m. Finally, Charles Bronson and Toshiro Mifune track bandits who stole a ceremonial sword in Red Sun (1971) at 6 p.m.
Prime time lineup: TCM focuses on the collaboration between actor Clint Eastwood and director Sergio Leone with two of their best films, A Fistful of Dollars (1964) at 8 p.m. and For a Few Dollars More (1965) at 9:45 p.m.
Late night pick: Leone and Eastwood's best known film, The Good, The Bad and the Ugly (1968) is on at midnight. John Wayne and Montgomery Clift in Red River (1948). Three daytime picks: The Westerns continue with movies starring Glenn Ford. First up is the Western comedy The Sheepman (1958) at 1:30 p.m. which finds Ford as a stubborn sheep rancher in cattle country, followed by Ford's brilliant performance as a prisoner who is trying to talk his way out of "taking that train" in 3:10 to Yuma (1957) at 4:45 p.m. Finally, Ford plays a reformed gunslinger who (stop me if you've heard this plot line before) straps on his six guns one more time in The Fastest Gun Alive (1956) at 6:30 p.m.
Prime time lineup: The evening's selections focus on the collaboration between director Howard Hawks and John Wayne starting with their best film together, Red River (1948) at 8 p.m. Wayne is joined by Dean Martin, Ricky Nelson, and Walter Brennan in the Western romp Rio Bravo (1959) at 10:30 p.m.
Late Night Pick: The last film Hawks' directed was Rio Lobo (1970) at 1 a.m. about a sheriff (Wayne) who must avenge his friend's death. 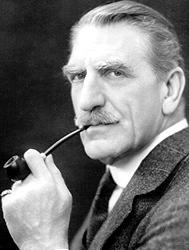 Three daytime picks: A birthday tribute to character actor C. Aubrey Smith who was born Charles Aubrey Smith on July 21, 1863, in London. Smith was a legendary Test cricketer before becoming an actor on the British stage. Smith usually played British aristocrats or army officers in films like And Then There Were None (1945) at 7:15 a.m. where he plays a stuffy general who is one of 10 house guests on an isolated island. Smith's first role on the British stage was the leading role in The Prisoner of Zenda, and he played a supporting part in the 1937 film, which is on at 3:30 p.m. Smith gives a touching performance as lonely rich man Mr. Laurence in his final film, Little Women (1949) at 11:15 a.m.
Primetime lineup: TCM is featuring films made in the 1970's each Thursday night in July. This week's selections focus on New York, which was known for its high crime rate and squalor during the decade. First up is Walter Matthau, Robert Shaw, and Martin Balsam in the subway hostage drama The Taking of Pelham One Two Three (1974) at 8 p.m. followed by Al Pacino's legendary performance as a desperate man who holds up a Brooklyn bank in Dog Day Afternoon (1975) at 10 p.m.
Late Night Pick: John Travolta plays a Brooklyn Guido who gets down on the dance floor in the disco classic Saturday Night Fever (1975) at 12:15 a.m.
Three daytime picks: The theme is movies directed by Jack Conway, who was one of MGM's most reliable contract directors. First up is Joan Crawford's flapper classic Our Modern Maidens (1929) at 7:30 a.m. followed by the unusual horror film, The Unholy Three (1930) at 12:15 p.m. which stars Lon Chaney as a ventriloquist who hooks up with a little person (Harry Earles) and a circus strong man (Ivan Linow) to form a crime syndicate. Hell Below (1933) at 2:45 p.m. finds Robert Montgomery as a World War I submarine captain whose crew includes Walter Huston, Eugene Pallette, and Jimmy Durante as "Ptomaine" the cook. Prime time lineup: TCM is celebrating the centennial of living legend Olivia de Havilland by airing her films each Friday in July. 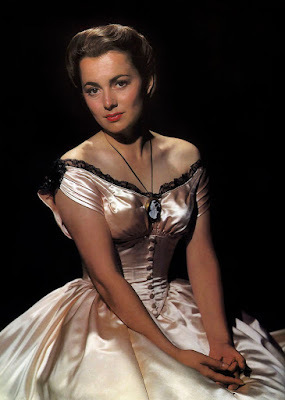 This week's selections feature some of her best fifties movies starting with her role as a woman who may have murdered her husband in the Hitchcock-esque thriller My Cousin Rachel (1952) at 8 p.m., followed by her performance as a kindly woman who trys to help a Confederate veteran (Alan Ladd) and his mute son (David Ladd) in The Proud Rebel (1958) at 9:45 p.m.
Late night pick: It's worth staying up late for the delightful comedy, The Strawberry Blonde (1941) at 4 a.m., which features de Havilland as the suffragette wife of turn-of-the-century dentist James Cagney. TCM's prime time lineup is all about British actress Brenda De Banzie starting with her performance as Charles Laughton's strong-willed daughter in Hobson's Choice (1954) at 8 p.m., followed by her role as Laurence Olivier's fragile daughter in The Entertainer (1960) at 10 p.m. De Banzie plays the landlady of a suspected child molester (Stuart Whitman) in the sensitive drama The Mark (1961) at midnight. The Sunday Night Feature focuses on the pioneers of African-American film starting with director Oscar Micheaux's classic Birthright (1938) at 8 p.m. about a Harvard graduate's attempts to start a school in his Southern hometown.The silent film, Ten Nights in a Bar Room (1926) at 9:30 p.m., follows one man's journey from vengeance to self discovery, and Rev. S.S. Jones Home Movies (1924) at 10:45 p.m. is a fascinating documentary by a Baptist minister, which depicts daily life in Oklahoma's all-black communities.